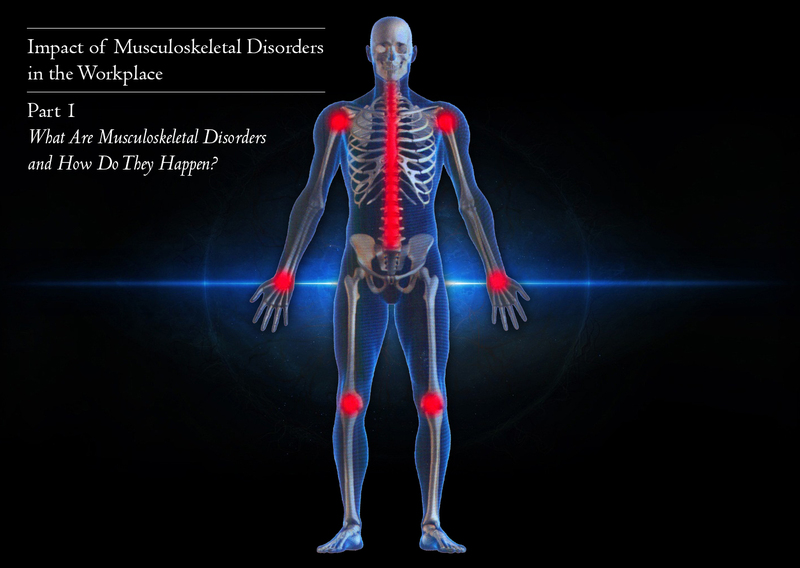 Part 1: What are Musculoskeletal Disorders and How Do They Happen? Most people are familiar with conditions such as Carpal Tunnel and Tendonitis caused by over-exertion of muscles and tendons in either sports or the workplace. 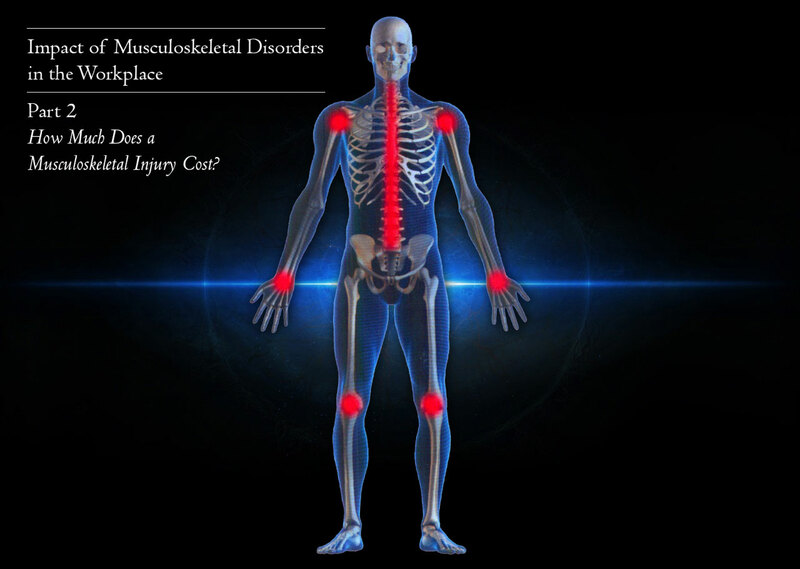 However, the category of Musculoskeletal Disorders, or MSD, covers a lot more territory. Why is this important for an employer to know? OSHA requires that most industries protect employees from MSD injuries and provide them workers’ compensation in the event that such injuries occur as the result of their labor. Knowing where your employees are at risk can save them from health problems down the road, as well as your business from legal penalties or high workers’ compensation costs and premiums. This is why EKT has set out to help educate the healthcare and manufacturing industries on how they can be more informed and prepared. If your employees are complaining of any of these problems, it’s time to investigate how MSD injuries are happening at your company. Exposure to Extreme Environmental Conditions, heat, cold, humidity or vibration. The obvious cause of a musculoskeletal injury is the result of the body sustaining a very high load that leads to damage of the supporting tissue. An example of this would when be a person tries to move or lift an extremely heavy load that exceeds the capacity of the supporting tissue within the arms, shoulders, legs, or back. However, a more likely scenario for an injury comes from accumulated trauma over time, produced by either a repetitive application of a relatively low load or the application of a sustained load for a long duration. This can have serious implications for warehouses, manufacturing plants, and healthcare workers maneuvering patients, because MSD injuries can result from picking up too-heavy objects on a frequent basis, or pushing heavy objects that often appear safe to move. A person can sustain an MSD even from moving wheeled carts if the pushing or pulling weight is too high. Knowing what MSDs to look for and what causes them can help your business improve employee quality of life and lower costs down the line. Stay tuned for more blogs in this series on teaching businesses about MSD and how to make your workplace safer. If you’d like to speak to an engineer about how Electro Kinetic Technologies solves ergonomic problems and helps prevent MSD in a variety of industries, contact us here. Part 2: How Much Does a Musculoskeletal Injury Cost? According to Liberty Mutual, the largest workers’ compensation insurance provider in the United States, overexertion, lifting, pushing, pulling, holding, carrying or throwing an object, costs employers $13.4 billion every year due to the onslaught of musculoskeletal disorders. Statistics compiled by the U.S. Department of Labor for 2011 reported 1,181,290 occupational injuries requiring days away from work to recuperate. Of this total, 387,820 or 33 percent were directly related to musculoskeletal disorders. However, the costs include more than just time off work and medical bills. OSHA breaks down the costs of any injuries into both direct and indirect costs. Direct costs are paid by worker’s compensation insurance, but employers also pay premiums based on their safety performance records. When their safety records decline, their premiums go up to reflect this performance. Direct costs associated with MSD type injuries include $23,083 for hernias, $28,338 for sprains, and $32,319 for strains. The cost of workers’ compensation insurance is determined by the workers’ compensation board in each state. Although base rates vary slightly from state-to-state, the basic process each state uses to calculate base rates is similar and is based on size of payroll, classification of company and jobs and Experience Modification Rate (EMR), a number based on three years of injury losses. Workers’ compensation premiums are multiplied by the EMR rating, either raising or lowering the premiums. An EMR rating of 1.0 is considered average. 1 In the OSHA report, the indirect cost estimates are taken from the Business Round-table publication, Improving Construction Safety Performance, and are based on a study conducted by the Stanford University Department of Civil Engineering. 2 The average claim costs within the OSHA report were provided by the National Council on Compensation Insurance, Inc. (NCCI). The information in the report reflects the average cost of a lost time workers’ compensation insurance claims from unit statistical reports submitted to NCCI for policy years 2007-2009. Part 3: Musculoskeletal Disorders: How Do We Prevent Them? How Can Musculoskeletal Disorders be prevented in the Workplace? Companies in the United States often set standards so that 75% of the female population and 99% of the male population can safely perform a manual (push, pull or lift) task. However, studies conducted by Liberty Mutual Group Loss Prevention Organization have shown that two-thirds of low back claims can be prevented if all tasks are designed to accommodate at least 75% of the female work population. To this end, Liberty Mutual developed tables, based on research conducted by Drs. Stover Snook and Vincent Ciriello at the Liberty Mutual Research Institute for Safety. Using these tables effectively requires basic level training in ergonomics and manual handling task analysis and evaluation. Once the analysis and evaluation of the actual task has been completed, these tables can provide the necessary guidelines to help identify which tasks are being performed within safe limits and which tasks require a redesign of the equipment. What Kind of Equipment Prevents Musculoskeletal Disorders? Different industries require different equipment. In healthcare, equipment is centered around safe patient handling, therefore motorized patient chairs are used to reduced the push/pull strain on nurse guiding them through healthcare facilities. However, some areas of the healthcare industry requires similar motorized carts and tuggers used in manufacturing and material handling, especially when moving equipment and supplies. At Electro Kinetic Technologies, we offer a variety of products that are ergonomically designed to reduce the push, pull, and lift strain of these kinds of tasks. If a customer requires something uniquely designed to accommodate their use, we also build custom equipment to the customer’s specification. To find out more about what equipment can best prevent Musculoskeletal Disorders in your workplace, visit our website or give us a call to speak with one of our engineers. We’d be happy to help you implement the Liberty Mutual Tables, and reduce the risk for injury at your company.